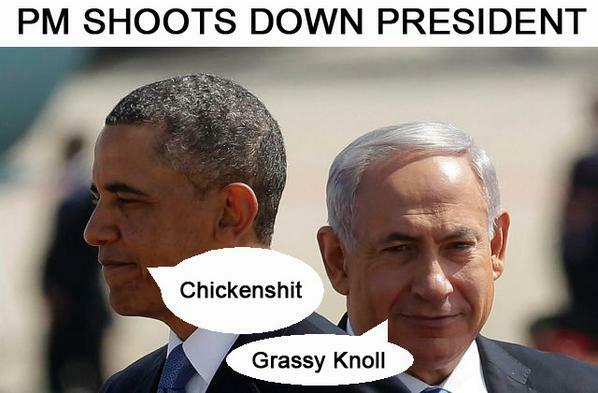 Why did Netanyahu respond to chickenshit with ‘grassy knoll’ remark? Wading through all the chickensh*t over the last few days Netanyahu’s “grassy knoll” comeback somehow missed out on all the action, but what the hoot guys? Where I come from that terminology only means one thing, as far as I know, that applies to the lexicon anywhere in America, if not the world. Hey, even Google agrees with me. And what are the chances Netanyahu and/or his speechwriters don’t know this? Nada. Impossible. Why would Netanyahu make a reference to one of the most alarming chapters in American history, the assassination of a beloved American president? And for many, an assassination still shrouded in mystery and deceit? I just thought it was very weird. Where is our press? Winding down after scrutinizing, dissecting and eviscerating Goldberg’s now infamous Chickensh*t article, Justin Raimondo, in The Chickenshit Lobby Is Mad As Hell– but just how mad are they? makes the argument had a leader of Iran slipped “grassy knoll” into a message to an American president the press would have gone bonkers. I agree. 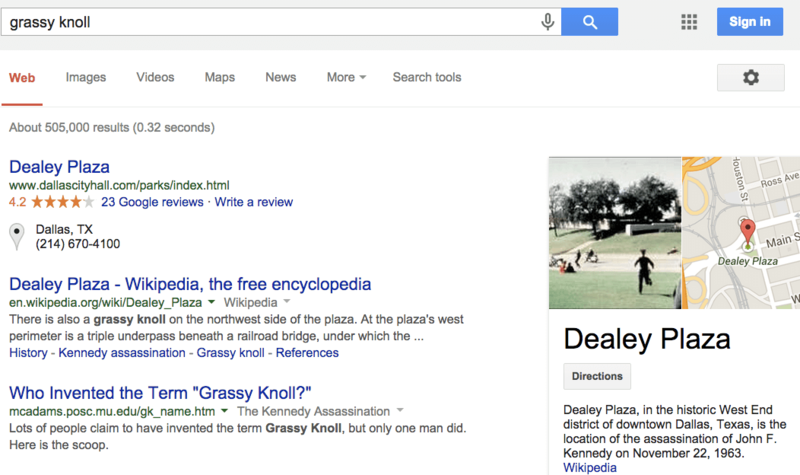 Bibi, who spent many years in the United States, is surely cognizant of what his “grassy knoll” reference connotes. You can argue it was just an infelicitous phrase, or that Bibi was referring to himself, not Obama. Maybe so. But what if, say, an Iranian official, even a low-ranking one, had said such a thing? The uproar would be deafening. And so the question must be asked: was Bibi threatening the President of the United States? Netanyahu is widely faulted for helping to incite Rabin assassination, marching in a rally where guys were holding up a coffin for Rabin.